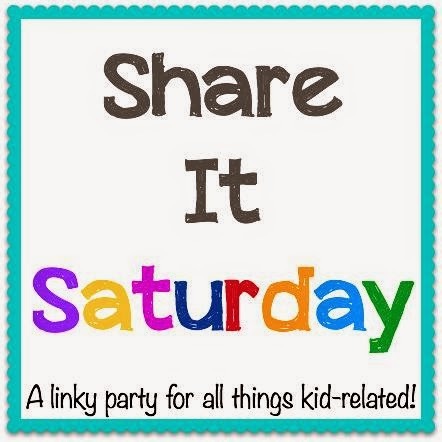 I am so excited to be teaming up with several other bloggers for Share it Saturday. Share it Saturday will be a place you can come every Saturday and see all of the great ideas that are being shared from fellow bloggers. This link up is for anything kid-related, so if you are looking for kids activities, organization, parenting, kid friendly foods, you name it, you will see it here. I will also feature several posts each week that go along with a theme I think you will love. Check out who the other hosts have featured today. I would love for you to follow along on our Share it Saturday Pinterest Board. This way you are sure to see many fabulous ideas.